Tropical Storm Ivo ('EE-voh) has re-formed in the eastern Pacific, prompting warnings and watches for portions of Mexico's Baja California peninsula. The National Hurricane Center in Miami said Friday that Ivo was located about 265 miles (425 kilometers) southwest of Cabo San Lucas, Mexico. It had maximum sustained winds of 45 mph (75 kph) and was moving north about 6 mph (9 kph). The Mexican government has issued a tropical storm warning for the Pacific coast of the peninsula from Punta Abreojos to Cabo San Lucas, and a tropical storm watch for the coast from north of Punta Abreojos to Punta Eugenia. The Hurricane Center said Ivo could strengthen Friday night and Saturday, then weaken again Saturday night and Sunday. 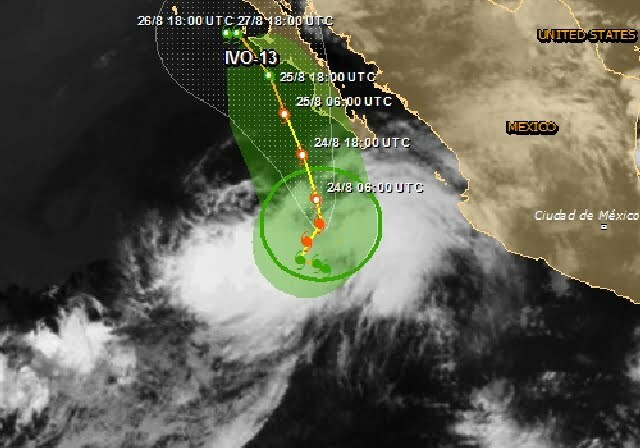 The government of Mexico has issued a tropical storm warning for the pacific coast of the baja california peninsula from punta abreojos southward to cabo san lucas...and for the gulf of California coast of the baja California peninsula from loreto southward to cabo san lucas. a tropical storm warning means that tropical storm conditions are expected somewhere within the warning area...in this case within 12 to 24 hours. a tropical storm watch means that tropical storm conditions are possible within the watch area...generally within 48 hours. 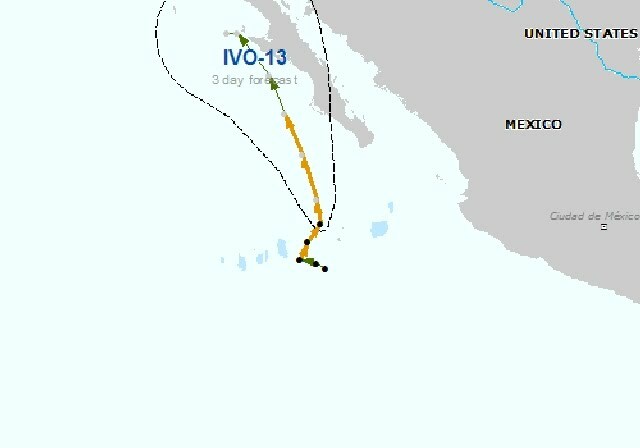 interests elsewhere in the baja california peninsula should monitor the progress of ivo. For storm information specific to your area please monitor products issued by your national meteorological service.